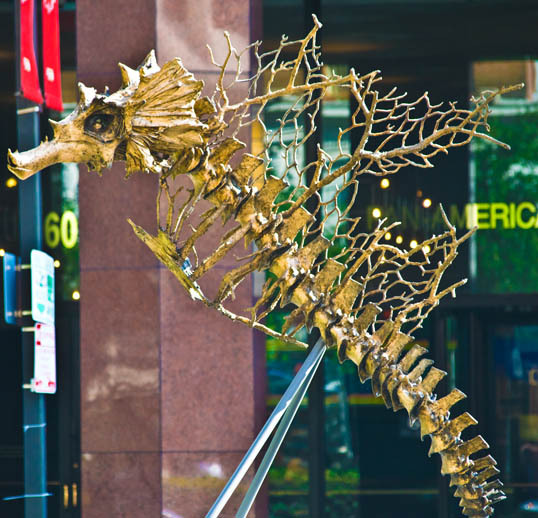 This entry was posted in Art, New Orleans, sculpture and tagged Art, bronze, New Orleans, poydras, Sculpture, seahorse. Bookmark the permalink. Do you live in New Orleans? You seem to know the city inside and out. I love N.O. and love your posts. Thanks. Actually I live in Dallas. My son, however, graduated from Tulane and now lives and works in downtown New Orleans. I have worked there decades ago, and visit often. The newest bunch of entries came from a weeklong visit I made this summer for the New Orleans Writing Marathon. I took most of the photos on one Saturday morning walk.